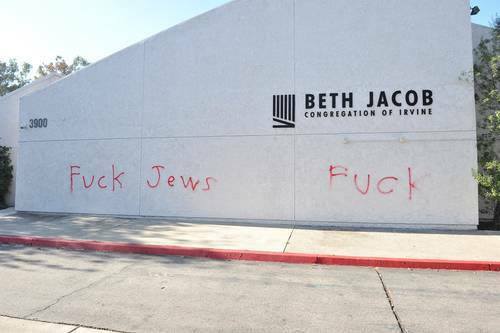 “Temple Beth El has a long history of creating a congregation that reflects who we are, of creating a synagogue that meets the community members’ needs,” said Rabbi Rachel Kort, one of two staff rabbis at the Aliso Viejo-based congregation. She explained how Temple Beth El developed a Shabbat-based education program that helped students to learn hands-on lessons about Shabbat while bringing families into the building on Friday. At the same time as the Shabbat Chai program started, the congregation became dually affiliated with the Reform and Conservative movements. One of a few congregations in the country that are affiliated with both movements, Temple Beth El “embraces the pluralism of the greater Jewish community within our congregation so we can provide a Jewish home for those who identify with either of these movements and for those who are just looking to connect and express their Jewish selves,” according to its website. Rabbi Wieder explained that the rabbis are “trying to help the congregants articulate values important to them and values shared by both Reform and Conservative Jews.” That means making ritual accessible, looking at broader issues and keeping the approach both creative and grounded in tradition. Rabbi Wieder added that the congregation “could not do a lot of things if it did not honor the collaborative aspect.” Lay leaders, he said, are committed to address the needs of the community to connect, making such programs as Jerusalem Shabbat possible. “People need to see and understand how this works to transcend the denominations,” Rabbi Wieder added.